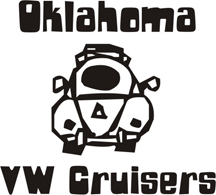 Oklahoma Vw Cruisers • Will DP 1600 Heads work on a 1835? Ive been reading alot about VWs in How to keep your VW alive and How to Rebuild VW engines and How to HotRod your VW engines! But nothing in there about swaping heads out. I have an 1835 that I floated the valves and busted sum valve springs. I also have sum dp 1600 heads and was wondering if they will swap out and work? It needs a complete teardown and we are about to move to Oklahoma. So I just need a quick fix until I can take my time and learn the ins and outs of the engines! Thanks guys I really appreciate this, HOPE YOU CAN HELP! I realize this may sound like a dumb question but Im new to VW cars and am willing to read up on anything I can get my hands on. Re: Will DP 1600 Heads work on a 1835? Depends on the bore size it has to fit the cylinder size. BUT otherwise yes they all will interchange. Well the 1835s are the 94mm and the 1600s are stock I believe! So have them cut for bigger domes and your good to go. Or just take the 1835 ones apart and see whats wrong but it dont sound like thats the problem tho to me. short answer, no they won't work, they have to be cut for the bigger jugs. Where do you guys meet at? Is there a hangout spot or ? It sound like you have to pull the heads. when you pull them check for cracks, valve guide wear and if there isn't any just replace the springs. Monthly meeting is listed under club business section. Its next week. My bad, I was drinking home brews and didn't bother to check my source. I brewed a nice batch of california common style beer today. its already rapidly fermenting. stan did you look to see if you actually broke a spring?